Panama: Enhancing dispute resolution – Panama Gateway International Association, Inc. Provided by RSM Panama, S.A. In July 2017, Panama started with a project to regulate the issue of APA’s. These project is different to previous projects because the Tax Administration has sought project advice from a range of service providers, such as lawyers, accountants, economists and other professionals. As a result of this project the Tax Administration is seeking to comply with the OECD guidelines in relation to transfer pricing. The project will allow taxpayers to formalize, through negotiation and subsequent agreement with the Tax Administration, the valuation of transactions with related parties overseas. In Panama transfer pricing rules, apply only to transactions with related parties overseas, but not to local transactions. The main benefit of the APA process would be to establish a mechanism for fiscal controls and guidelines in order to avoid excessive and unnecessary costs due to post transaction disagreements between taxpayers and the Tax Administration. RSM Panama, S.A. is a member of the RSM network and trades as RSM. 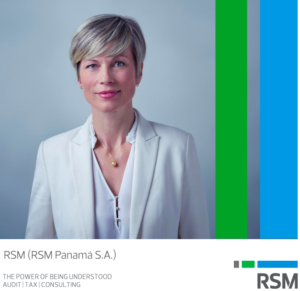 Visit RSM Panamá, S.A. for more information regarding RSM Panama.